If you’re not swayed by Samsung’s return to form, Apple’s ultra-expensive iPhone X or Google’s funky Pixel 2, then the Huawei Mate 10 Pro is a pretty solid alternative. Earlier this year, a groundbreaking new smartphone was announced. One that promised to combine an industry-leading camera, glossy design and artificial intelligence tech to change the way you interact with your smartphone in a real, meaningful way and help a global tech brand crack-and-tap the mainstream in the same way that Samsung and Apple do. 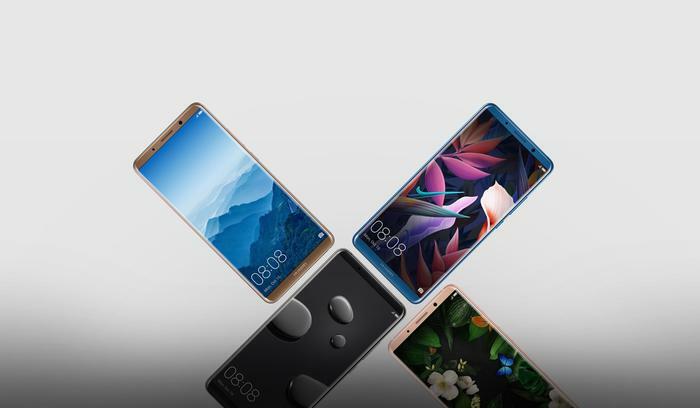 Now, ahead of this holiday season, Huawei have launched their Mate 10 series of smartphones with a strikingly similar pitch. Like HTC’s device, it promises to deliver on a double-act of premium aesthetics and tantalizing technical specs. However, unlike the U11, Huawei’s smartphone is backing up the company's promise of an AI-powered experience with its own homegrown and NPU-driven Kirin 970 chipset. This time, they say, the future is more than just hype. When it comes to the technical stuff, the Huawei Mate 10 and Mate 10 Pro come with several similarities and differences. The stock Mate 10 features a 5.9-inch QHD LCD display (499ppi) while the Pro features 6-inch FHD+ OLED display (402ppi). Both boast an ultra-thin profile, support for HDR10+ content, a 4000mAh battery, rear-mounted fingerprint sensor, 18:9 FullVision display ratio and curvy, glossed metal/glass design. Both phones also run on Android 8.0 Oreo and Huawei's EMUI skin. However, only the Mate 10 Pro features an IP67 durability rating. There’s also a small difference in the RAM and ROM counts for each phone, with the Mate 10 pairing together 4GB and 64GB while the Mate 10 Pro runs a 6GB and 128GB combo. For better or worse, there’s no headphone jack or MicroSD slot on the Pro. Fortunately, Huawei do include a set of USB-C powered earbuds with it to make up for the omission. The biggest shared quality between the two phones comes in the form of the new Kirin 970 processor - which features a dedicated neural-network processing unit - and their camera setup. The two phones tout the same Leica Dual Lens Camera (12/20-megapixels, f/1.6) configuration of their predecessors on the back, complimented by a crisp 8-megapixel front-facing shooter on the front. This time around, however, the camera kit comes integrated with and enhanced by the Kirin 970's AI-capabilities. Huawei say this allows for real-time scene and object recognition (which automatically configures the camera settings based on the object being framed) and support for an advanced AI-powered Digital Zoom function with improved Motion Detection.